When it comes to your business, your customers are the end all be all of everything your brand stands for. Without them, your brand doesn’t exist or flourish as it could. So it begs the question, how do you keep them coming back, buying more and having them bring new business through referrals? Humanize your approach. People that walk into your store/shop to buy a product or service are exactly like you. They got up from their bed this morning, ate breakfast, got dressed and prepared their day just as you would; the only difference is their role when it comes to your business. 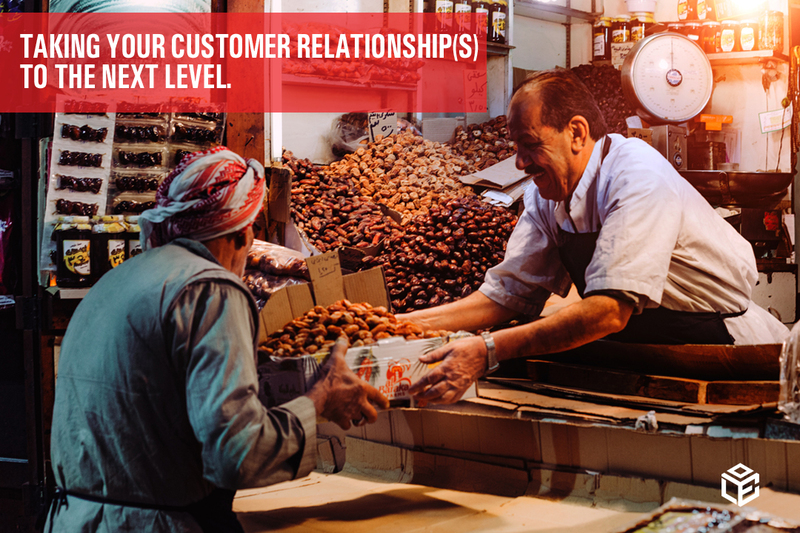 Approaching current and existing customers with a smile, initiating small talk and having a conversation about things aside from the initial “business” talk will bolster an impression on that person and create more trust from a business standpoint. We live in a world now where the default greetings have become “Hey, how can I help you?” and “Have a good day” which to a consumer isn’t anything new, so they treat it as such. Add a spin to the little things instead by saying, “Hey, my name is ______ welcome to ________ is there anything I can help you out with today?” No matter what their answer is, you respect it, you don’t push or sell them on something if they’re just browsing. When they leave, it’s a simple “Thank you for visiting or inquiring” and you wish them a great day while smiling. Simple yet memorable. There’s no better feeling to a consumer than returning to a business and the staff remembering your name or things about you. It’s like coming back to a hotel you stayed at previously, and there is a note that says “Welcome back Mr. /Mrs. __________, we look forward to hosting you again.” You would feel appreciated and valued. This point may be a bit backward to some as profit grows your business, but where does the profit come from? If you were to walk into a flooring showroom right now ready to spend thousands on a renovation, what would convince you to spend money with this business? Would it be the customer experience of the staff highlighting the excellent benefits of the product and how great it would look in your home, or would it be staring at the product that sits motionless in front of you? The point is that experiences sell the product not the other way around because it’s the imagery, visuals, and connection between that product and consumer that will allow them to bust out their credit card. Implementing reward programs, customer appreciation sales, emailing monthly newsletters/flyers to people who’ve purchased from you or for long-term customers giving them loyalty options shows you value to their business. As John C. Maxwell once said, “people don’t care how much you know until they know how much you care” and that couldn’t be truer in business to enhance your brand. Relationships will always be built through effort from both parties. Initially, it’s you as a business that has to earn the trust of that person, so they open up to your brand and trust it back to always think of your company when looking for something in your industry. We’ll publish business tips regularly on how to entrench your business as the industry leader in today’s saturated and competitive marketing world. Like what you’re reading and want blogs like this written for your business? Contact us, and our renowned team of professional writers will compose engaging and captivating content to promote your brand and its products/services.